There are a wide range of organisations, including regulators, Government and a consumer watchdog, which all work with companies to ensure customers get the best services 24/7 and that the environment is protected. Who sets the rules and makes sure customers are looked after? Defra - the UK government department responsible for looking after our natural environment, supporting our world-leading food and farming industry, and sustaining a thriving rural economy. 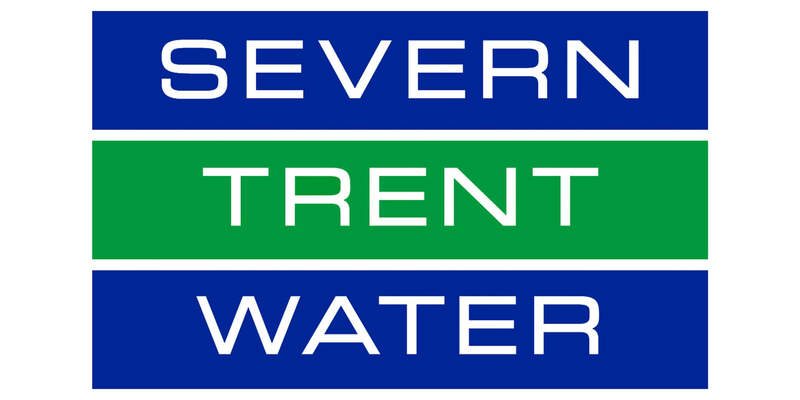 Defra sets the overall rules for water services in England. 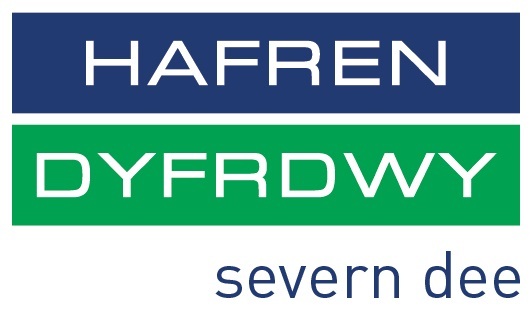 Welsh Government - the devolved Government for Wales which works to help improve the lives of people in Wales and make the nation a better place in which to live and work. 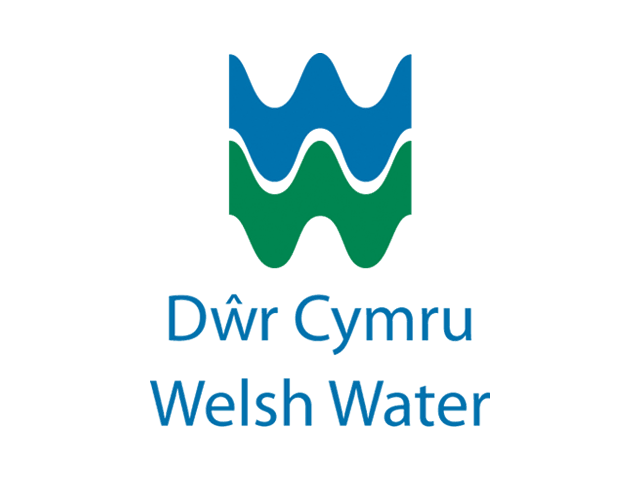 The Welsh Government sets the overall rules for water services in Wales. 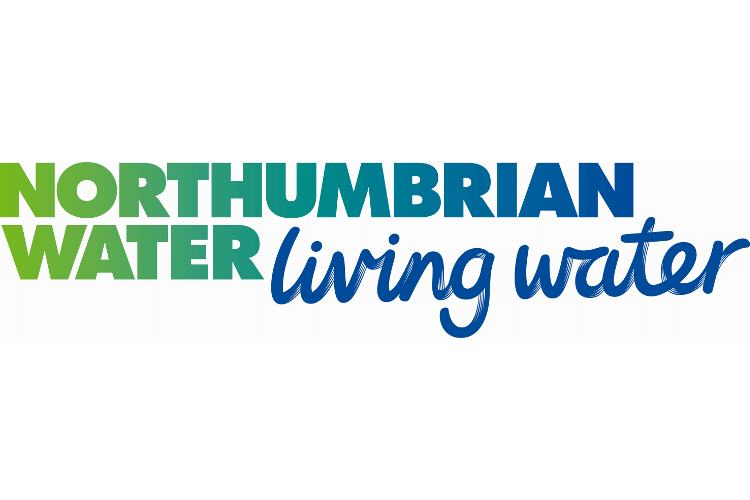 Drinking Water Inspectorate - provides independent reassurance that water supplies in England and Wales are safe and drinking water quality is acceptable to consumers. Environment Agency - responsible for regulating industry waste, as well as water quality and resources in England. They are also responsible for managing the risk of flooding from rivers, reservoirs, estuaries and the sea. Natural England - the government’s adviser for the natural environment in England, helping to protect England’s nature and landscapes for people to enjoy and for the services they provide. Natural Resources Wales - works to ensure that the environment and natural resources of Wales are sustainably maintained, enhanced and used, both now and into the future. 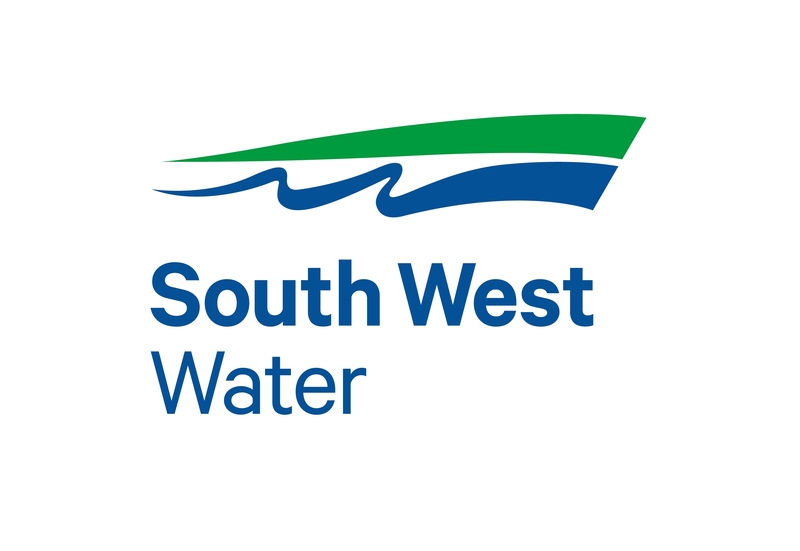 Ofwat - the economic regulator for the water and sewerage sectors in England and Wales. It works in the interest of customers by setting price limits, ensuring companies run efficiently and encouraging resilience. CCWater - The Consumer Council for Water promotes consumers' interests to governments, regulators and water companies. They also provide a free advice and complaint handling service for consumers, research their views on key topics, and keep them informed on the issues that affect their services. Who provides water and sewerage services? Water and sewerage services are provided by regional companies, serving the areas shown on the map. You can find out more about them below. 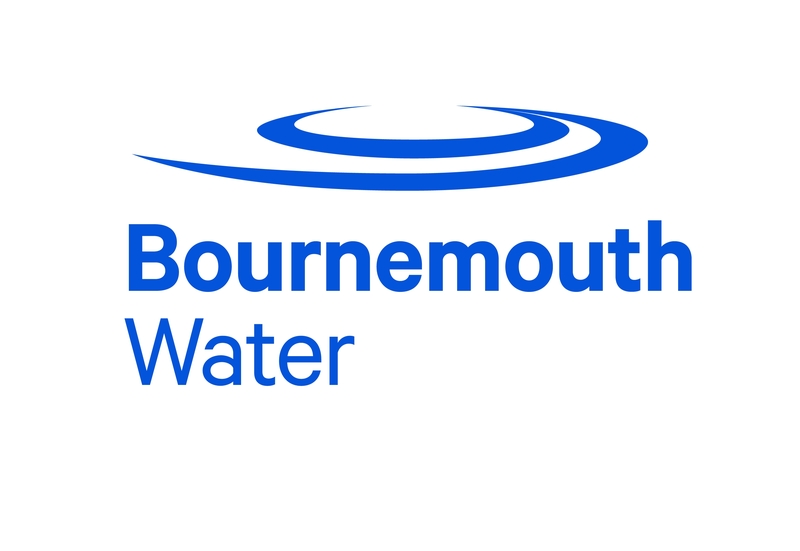 There are ten companies that provide both water and sewerage services to large regions across England and Wales. Many customers get both water and sewerage services from one of these ten companies – but some get their water from a water only company. Water and wastewater companies collect and store water, treat it to high standards, pipe it to homes and businesses across the country, and then take away used water and treat it so that it can be returned to rivers and the sea. 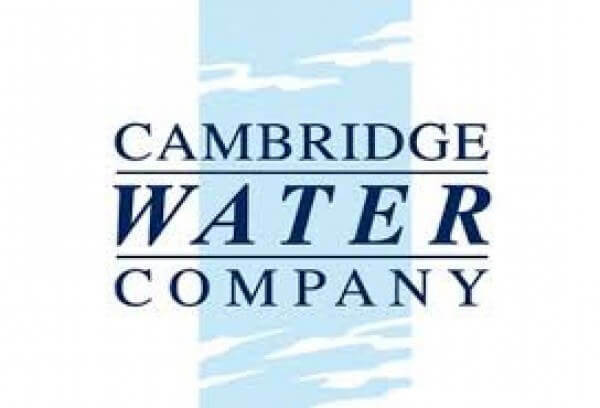 Water only companies just provide water - they collect and store water, treat it to high standards and pipe to homes and businesses, but it is then a water and sewerage company that takes used water away and treats it so that it can go back into rivers or the sea. Customers might get one bill for both water and sewerage, or two bills, one for water and one for sewerage. There are also companies that provide regulated water and sewerage services to local areas in some parts of the country. This could be for a new housing or mixed used development, or for businesses that use a very large amount of water. The areas they supply can be found at the individual websites below. 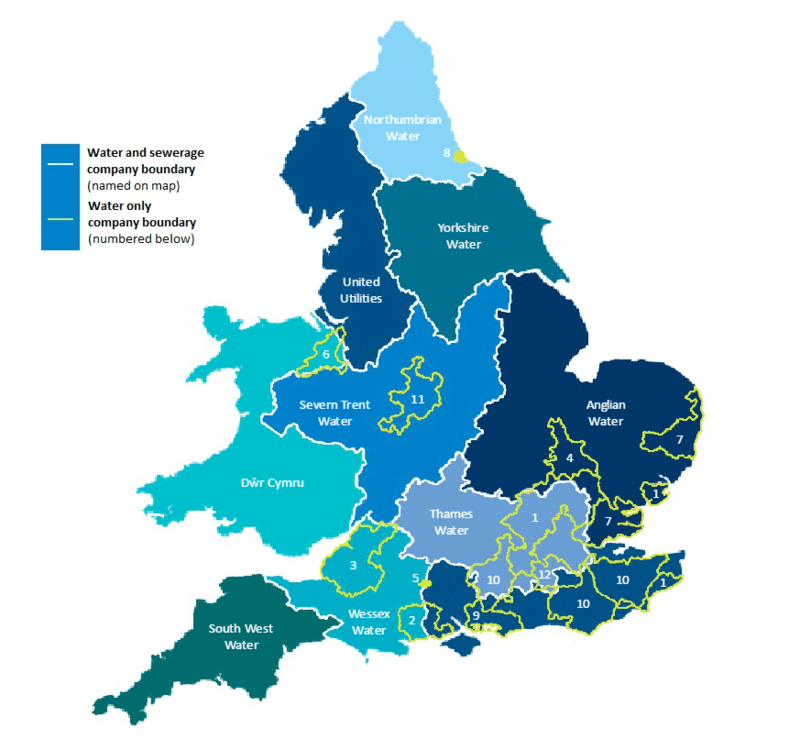 Water UK doesn’t provide water and sewerage services itself, but is the membership organisation which represents all major statutory water and wastewater service companies in England, Scotland, Wales and Northern Ireland. Click on company logo below to visit the company web site to see performance specific information. Please note that you may not be able to click back from the company sites.